ShelbyDoodle Designs: My Gecko Galz February Samples and your Free Digital Stamp! My Gecko Galz February Samples and your Free Digital Stamp! Welcome Crafty Friends! Today is my monthly feature day on the Gecko Galz Blog, and I also have a free digital stamp to share with you just for stopping by today. You will find it at the bottom of this post. Remember to stop by the Gecko Galz blog every day to pick up a free digital stamp at each Creative Team member's blog on their feature days. You may also enter our monthly challenges with the chance to win a $25 shopping spree in the Gecko Galz Etsy store. Details are on the Gecko Galz Blog. The challenge theme for February is Hearts and Kisses. Thanks for looking! 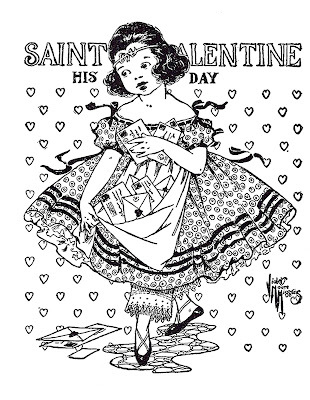 I love the bold graphics and colors in this vintage Valentine card. Please see products below. When I saw the new retro Valentine images and background papers, I immediately thought to create a pocket letter. They are very dimensional with some of them popped up on more than one level depending on the embellishments. These were so easy to put together once I cut out all the images from the collage sheets. Other than the images themselves, I added rick rack and buttons, sequins etc. I had some stickers in my stash and I stuck them onto plain white cardstock then cut them out leaving small white borders. I did this so that I could pop the stickers up for dimension and the white cardstock border added some contrast. Because each piece is removable from the pocket, you could easily use these as Valentine card toppers using pre-folded note cards and just adding the topper. Product links below. My last sample was totally unplanned. and more or less created from stuff that was already out and around my desk. I had previously printed the image and I happened to set it down on top of an unfinished wooden plaque I'd picked up at Michaels ions ago. The die cut frame behind the image I had cut for something else and hadn't used it. The rest came easily when I opened up my "purple" embellishing drawer and my "pink" embellishing drawer. I use two Gecko Galz background papers and then added some stenciling on top of that. I was thrilled to find the purple feathers by Petaloo in my purple drawer that matched the image so well. Below is your free digital stamp for February! Your projects are awesome! 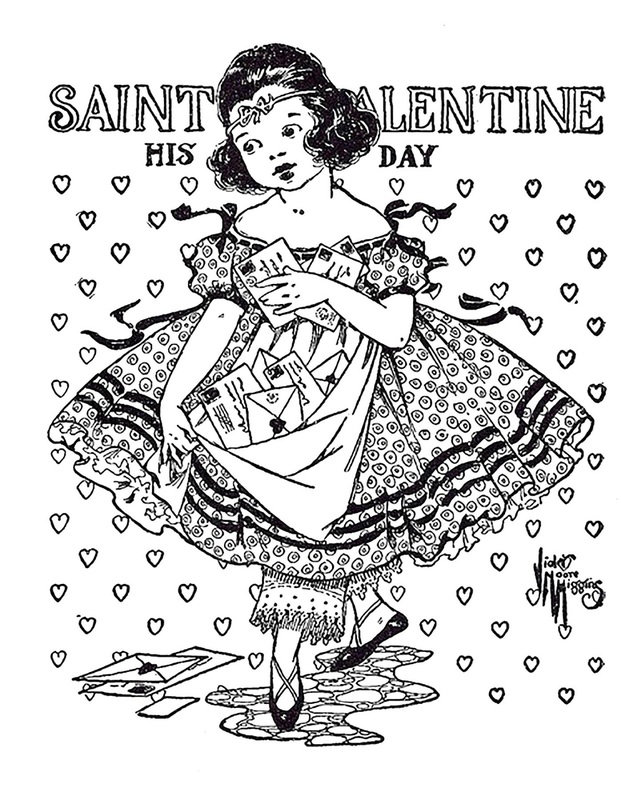 I really love the Valentine Pocket Letter! adorable pocket page! I love the sweet images. Thank you so much for the free stamp, its so cute!